The new UK transport secretary has been challenged to end the “third runway debacle” or apologise to Scottish businesses and commuters. Tory minister Chris Grayling faced repeated questions about the timetable for airport expansion in the south-east of England in the Commons yesterday. SNP MP Margaret Ferrier accused him of doing “more than enough already to wreak economic havoc” by campaigning for the UK to leave the European Union. She added: “Perhaps you would care to use your new position to mitigate some of this damage by putting an end to this third runway debacle? Mr Grayling insisted the economy was continuing to do well under Theresa May’s government. He added: “This government retains and will always retain a commitment to the economy and people of Scotland as part of one UK. He was also asked about the possibility that MPs may be given a free vote on the issue. Mr Grayling replied: “You will have to wait for us to set out our plans. I regard this as an important decision for our nation, one which we need to get on with. “We have, of course, seen a significant change of administration across the summer. “It is right and proper that the prime minister and I are sufficiently prepared to take the decision we need to take. 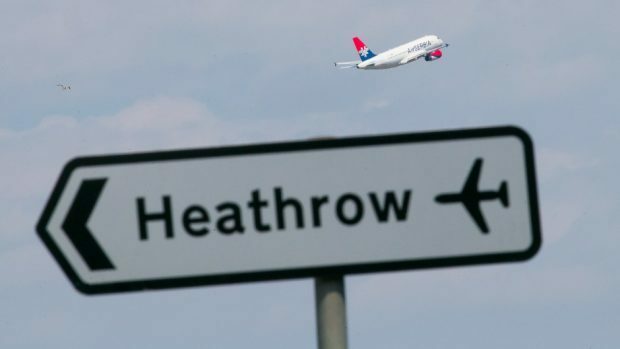 The Conservatives have faced accusations of kicking the Airports Commission’s final report – which recommended a third Heathrow runway – into the long grass. Former PM, David Cameron, had promised a decision by the end of last year, but it was put back to this summer. The ex-transport secretary Patrick McLoughlin subsequently said it would be “at least October”. A Department for Transport spokesman said the case for aviation expansion was clear.